Do you want to reduce the clutter in your home, organize what's left, and keep it that way? Does the sheer scope of the project give you an anxiety attack? Don't let fear stop you! 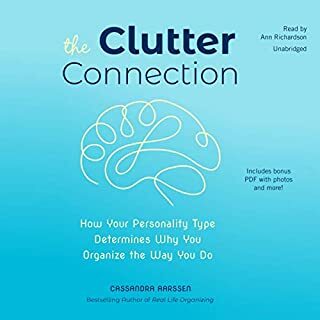 Organizing and time-management experts Sandra Felton and Marsha Sims show you how - with the right game plan and a healthy dose of adrenaline - you're just five days from your goal. With their proven team-based approach, even the most overwhelming de-cluttering job becomes doable. 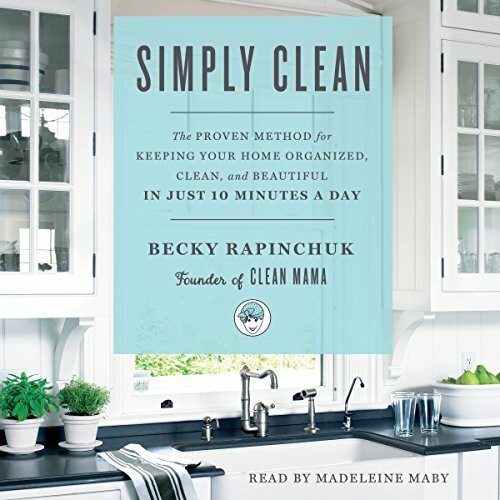 Becky Rapinchuk, the "Clean Mama", understands that many people don't have enough time, organizational skills, or homemaking habits to have a constantly clean and decluttered living space. 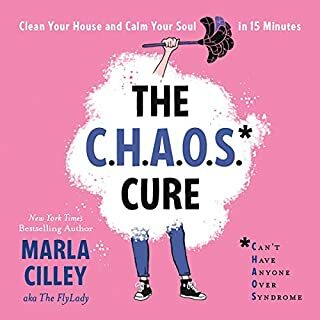 In Simply Clean, she can help you effortlessly maintain a tidy house and build habits to become a "clean person" - no matter how messy you may naturally be! Along with a 7-Day Simply Clean Kickstart and a 28-Day Simply Clean Challenge, Rapinchuk includes plans for customizing the Simply Clean Routine to fit the busiest of schedules and any type or size of home. 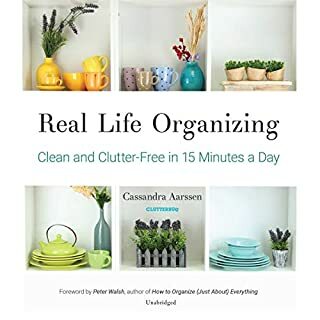 This guide also contains step-by-step tutorials for cleaning hard-to-clean spaces; dozens of recipes for organic, environmentally conscious cleaning supplies; and many of Rapinchuk's famous checklists, schedules, and habit trackers. It really is possible - in just 10 minutes a day, you can create a cleaner, happier home! ©2017 Becky Rapinchuk (P)2017 Simon & Schuster, Inc.
With that said, I like the book and system overall, and I appreciate the companion PDF. While it doesn't cover splitting chores with roommates, it does give a good basis for the conversation. I'd say to expect a total of 30-60 minutes per day, depending on your preferences and the size of your place, but I mostly felt silly for believing that any system could hold up to the promise of this book. Awesome routines that I'm excited to implement. I'll be starting the 7-day Kickstart today and then go on to the 28 Day program. It all seems really doable and sensible. The included checklists are awesome, just that alone is worth the price of the book. 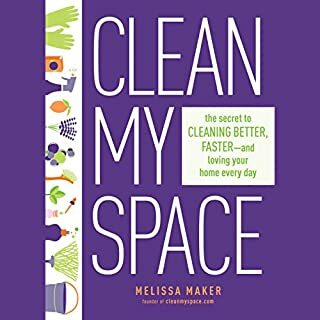 I also love that the author included the recipes for some natural cleaners and tips on cleaning different items in your house, such as coffee makers, stainless steel appliances and etc. I want to add that this is the first book I came across on Audible where the narrator irritated me. She really sounds like a robot. Doesn't feel like she feels what she's reading, and some sentences really feel like you are on hold with an automated system. That wouldn't deter me from listening to this book again though. I highly recommend this book and the described system. P.S. I also bought the hard book!!! I was concerned about purchasing a how-to book in audio format, but I loved it! Actually, an audio edition lends to the whole notion of needing speed cleaning: you probably don't have time to see and READ a book on it, either. The author's use of repetition (sharing the same ideas in multiple chapters) also made it easier to internalize and remember without print in front of me. Truth be told, I even found it to be pretty relaxing to listen to! I plan to play Simply Clean over and over. This book is full of great information and following Becky's method through her website & social media has literally changed my life. Listening to the book however, is a different story. If you're in to & can retain information by listening to someone read lists, by all means buy the audio version of this book. I am not one of those people & need the physical copy. 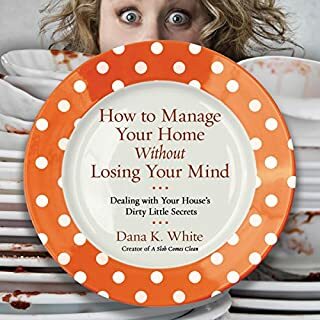 Author offers practical and doable program to keep home clean and organized. 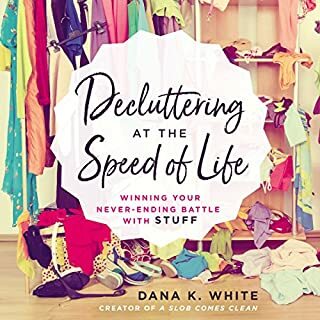 I've got my own collection of cleaning and decluttering books but this one is the best! I also like that she shares her recipes for natural cleaning products. The best cleaning info around! The best cleaning book around. Covered an array of housekeeping tasks. I highly recommend this book. I love the ideas and the pdf lists is worth the credit, but I can’t get passed the cold, robotic, disingenuous voice of the narrator. She sounds like a GPS voice which, as a person who struggles with home management, can’t relate to the authors own struggles at all. Big turn off when you’re deciding if you can commit to someone’s plan. I’ll likely buy the hard copy though because I enjoy her blog and would like to read the full story. I LOVE this book. The routine, the recipes, the fact that it’s so easy to put in place. Listening to this book in my car helped this busy new Mama put Clean Mama’s plan into practice. Highly recommend! Provides very realistic and achievable goals! Most of the content of the book is in lists, which makes for very dull listening. Though the parts that were in prose were quite pleasant and entertaining. The lists that are included in the downloads to this book are available for free on the clean mama website, as are the cleaner recipes. Those are not included in the book downloads. I wouldn't buy the audio book again, but I'm contemplating to buy the ebook. listen through the routine and become a pro. this book strives to make your life easier! you'll be enjoying new habits in no time.